3D printers have come a long way in the past few years, but despite the huge improvements they’ve seen recently, most still suffer from the same big drawback — they’re excruciatingly slow. If you’re making anything bigger than the size of a walnut, it’s probably going to take a few hours to print, and to make matters worse you can’t actually design stuff with your hands. Instead, you have to learn all the ins and outs of 3D modeling software before you can bring your idea into the real world. FormBox aims to remove all these complex barriers standing between idea and fabrication. It’s basically a desktop sized vacuum forming machine that allows you to create high-fidelity molds of just about any shape. To use it, you start by simply creating the shape you want with whatever material is easiest — foam, wood, play-doh, or even a potato. Once you’ve sculpted the object to your liking, just place it inside FormBox and let it go to work. 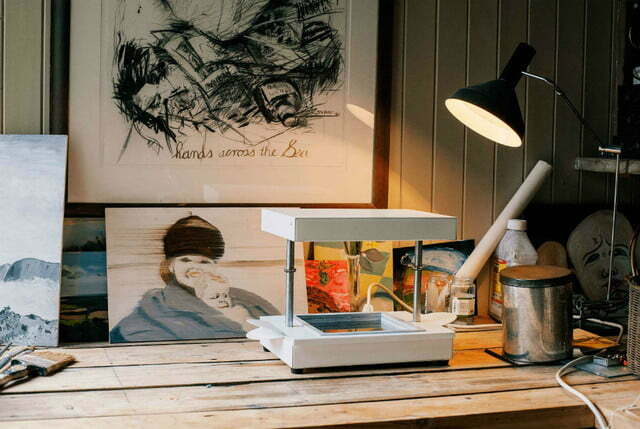 The machine will heat up a sheet of thermoplastic, then vacuum form it around your shape. After a moment or two, the plastic will solidify, and leave you with a perfect negative of your object — which you can then use like a mold. If you’ve ever wanted to listen to music in your own little personal “bubble” without disturbing people around you, then Soundlazer VR is precisely what you’ve been waiting for. 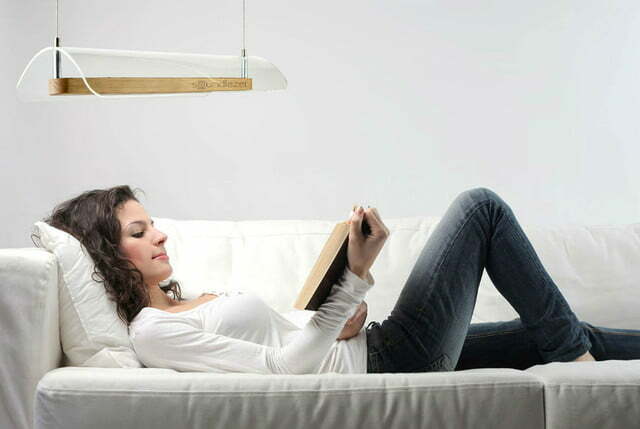 Thanks to its clever design, the speaker basically works like a spotlight for sound. It emits a tight beam of sound waves that you can hear clearly when you’re inside of it, but becomes incredibly faint when you step outside of the sound bubble. In effect, it’s like having headphones that you don’t have to wear. Here’s a quick overview of the technology that makes it work. The Soundlazer VR features patent pending planar array stereo drivers set into a single piece of CNC carved wood. It’s basically a row of small speakers that each put out a tiny amount of sound. This output is directed upward and bounced off a linear parabolic reflector (curved piece of acrylic) and directed down toward the listener. This configuration focuses the array’s audio beam down to about three or four feet — and once you step outside of that bubble, its as if somebody suddenly turned the volume way down. Who says air filtration systems need to be kept within the confines of your home? 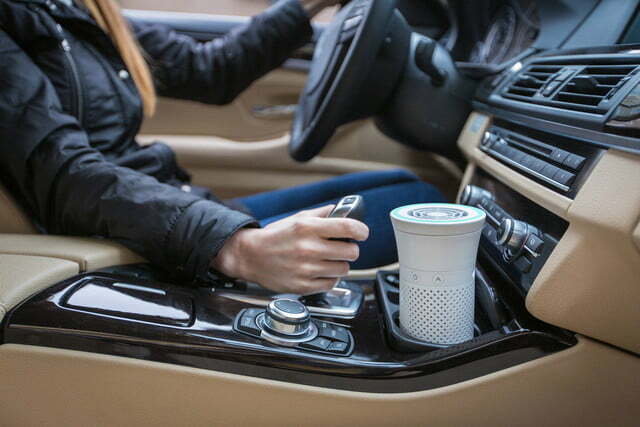 If you’d prefer to breathe clean air wherever you go, then you should check out Wynd — a compact personal air filter that’s designed to go wherever you go. The system consists of two main components: the filter itself and a small air quality monitor that constantly collects information on the atmospheric conditions around you at any given moment. When used as a set, the air quality tracker influences the purifier’s purification level automatically, based on information it gathers from the surrounding environment. We’ve said it before, and we’ll say it again: humanity is living in the golden age of rideable technology right now. In the past few years, electric motors have become smaller and more powerful, and batteries have begun to last longer — two trends that have coalesced and kicked off a renaissance in personal mobility devices. There are almost too many rideables to keep track of anymore, and they seem to get crazier and more advanced with each passing month. Case in point? This folding electric skateboard called Linky. As if electric skateboards weren’t compact and portable enough already, these guys went ahead and designed one that collapses down and fits inside a backpack for easy transport. You don’t get a full deck to stand on, and it’s not quite as beefy/fast/long range as some of the other e-skate options out there, but what it lacks in performance it makes up for in convenience. Ever felt guilty about leaving your dog behind at the house, or keeping him all cooped up because you just don’t have the energy for a walk? Not to worry — technology has a solution that’ll keep your dog in shape and your conscience clear. 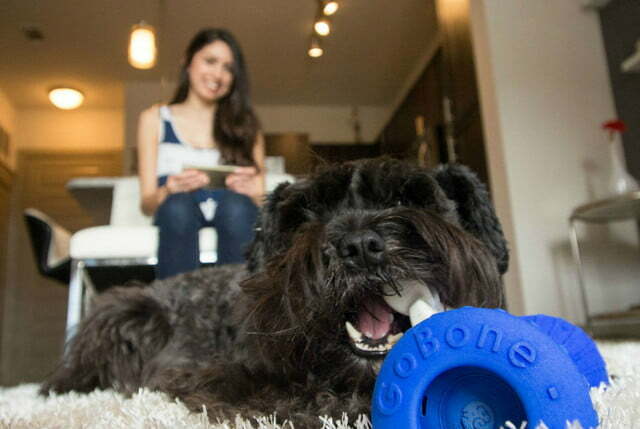 Earlier this week, a company by the name of PulsePet unveiled a new product called GoBone — an app-controlled dog toy that keeps your pet moving and having fun — even when you’re not around to control it. The device can move around the floor and encourage the dog to chase it, chew on it, and make it squeak. Owners can also load it up with treats and set them to be dispensed automatically at certain intervals, or released when the dog has completed a certain action. The GoBone even makes adjustments to its behavior depending on your dog’s age, weight, breed, and play style to keep it stay active longer. And with a battery life of eight hours, the smartbone can keep a pet company for long stretches when it would otherwise be alone.